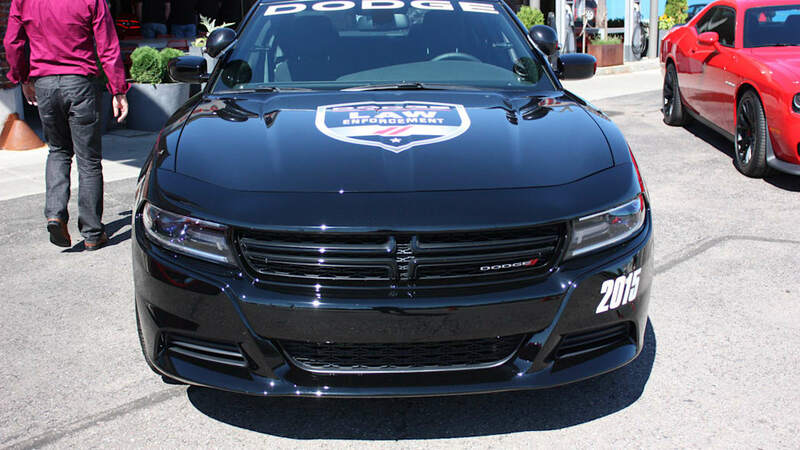 Earlier today, Dodge pulled the wraps off its 2015 Charger SRT Hellcat – a 707-horsepower sedan capable of sprinting to 60 miles per hour in 3.7 seconds and reaching a top speed of 204 mph. 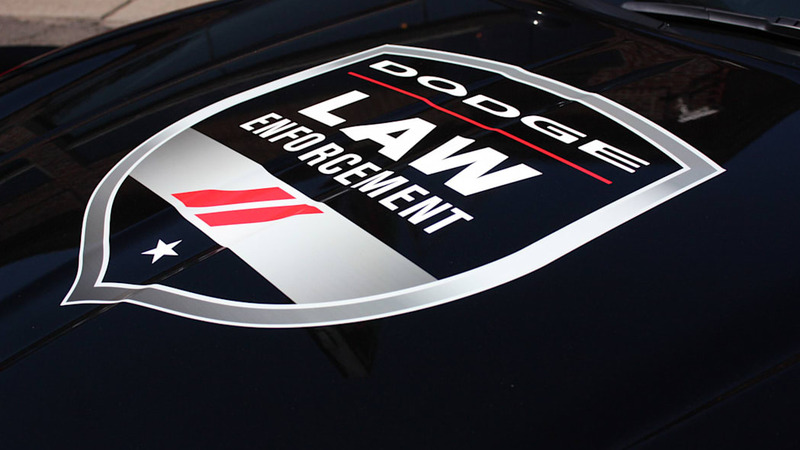 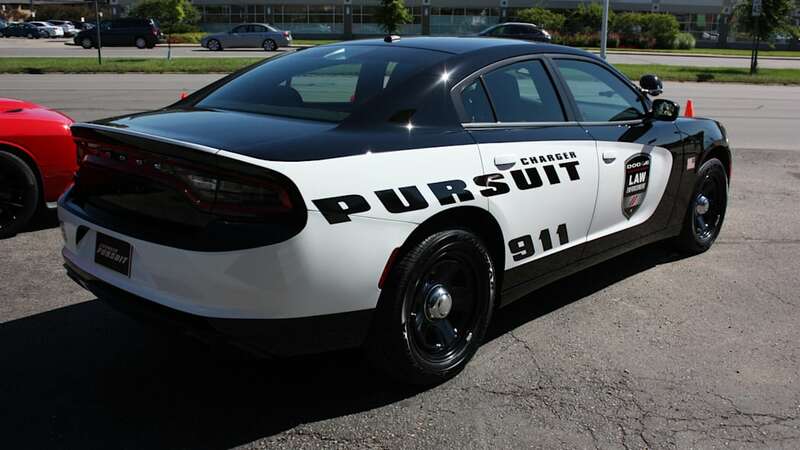 Naturally, the car debuted in a bright shade of pull-me-over red, so it was fitting, then, that Dodge also brought its newly updated 2015 Charger Pursuit to keep everything under control. 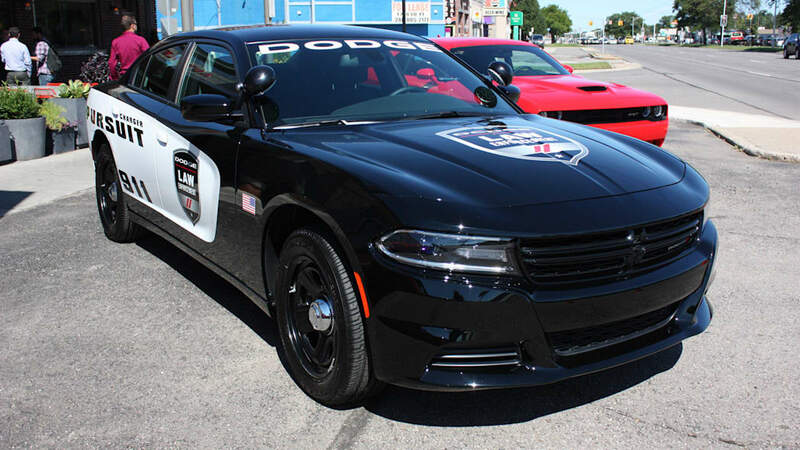 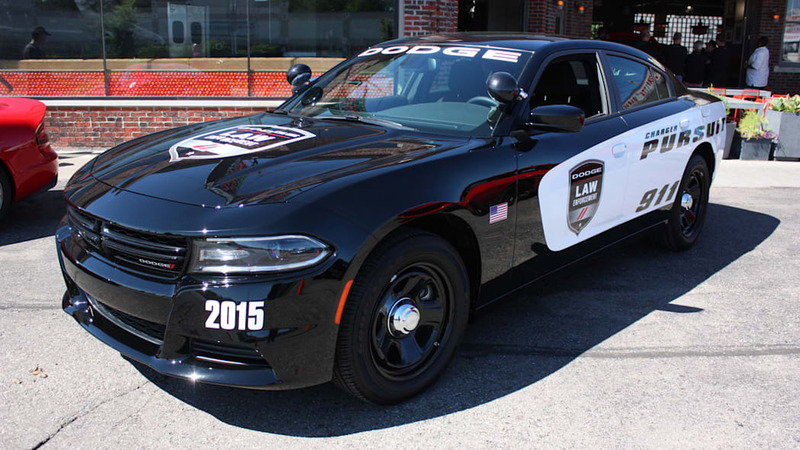 No, cops won't be able to spec their Charger cruisers with the 707-hp Hellcat engine (oh man, imagine the chase scenes...), but law enforcement officials will be able to choose from either a 3.6-liter V6 or 5.7-liter Hemi V8, producing 292 hp and 370 hp, respectively. 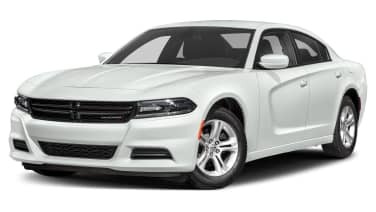 V8 models can be ordered with all-wheel drive, and Dodge estimates that with either engine, the Charger Pursuit can achieve up to 26 miles per gallon on the highway (thanks to the V8's four-cylinder mode). 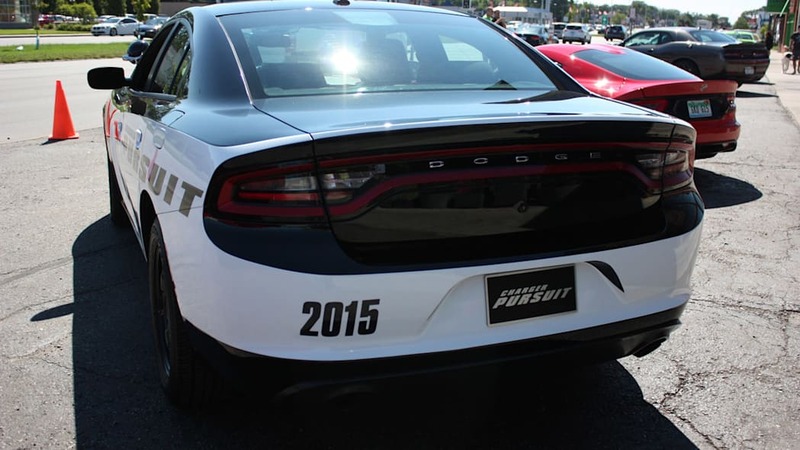 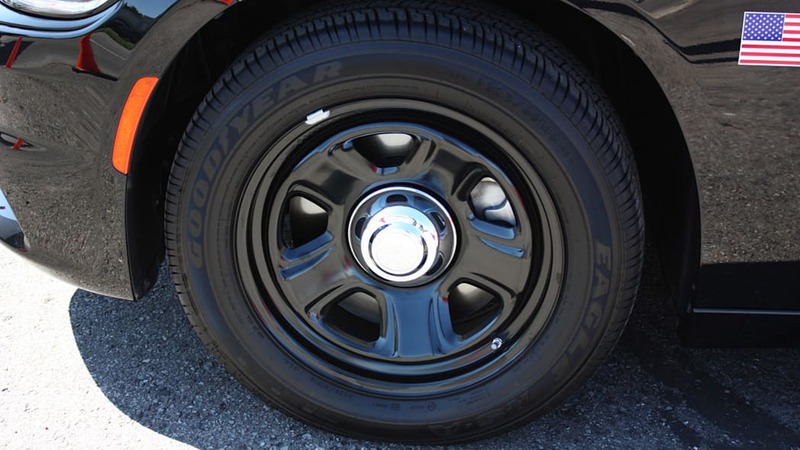 Other updates for 2015 include improved braking power, a seven-inch display in the instrument cluster, a five-inch display in the center stack, and a new vehicle systems interface that could make it easier for police squads to install computer and radio equipment. 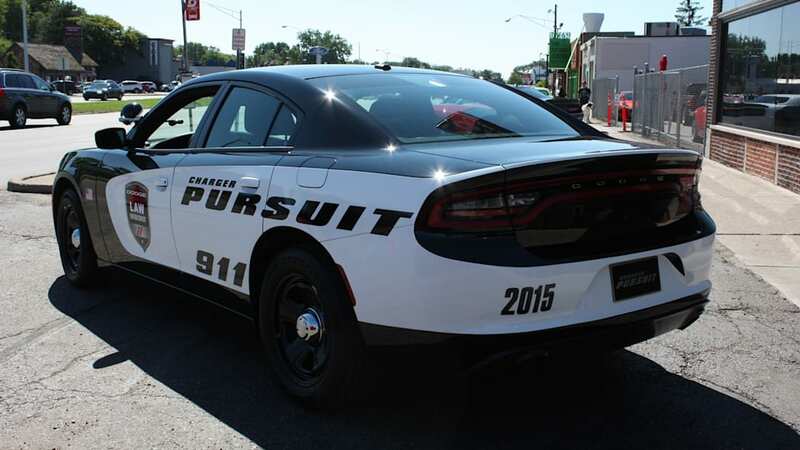 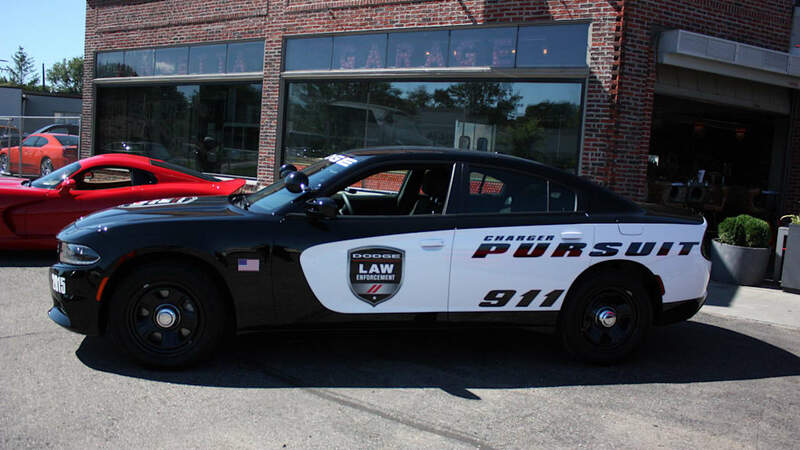 The Charger Pursuit made its debut at the iconic Vinsetta Garage on Woodward Avenue just north of Detroit, in advance of the Dream Cruise festivities that will kick off this weekend. 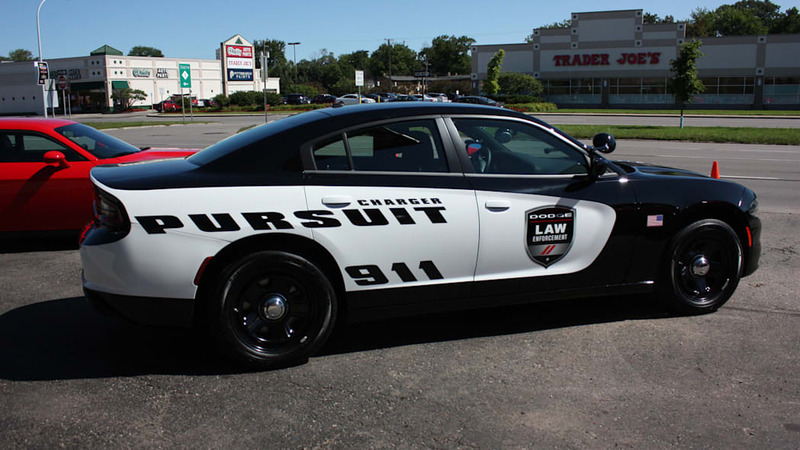 Check it out in our new gallery of live shots, above.